» $10 off $25 at Woot! $10 off $25 at Woot! Amazon Local is giving away free $10 off $25 Woot coupons today. 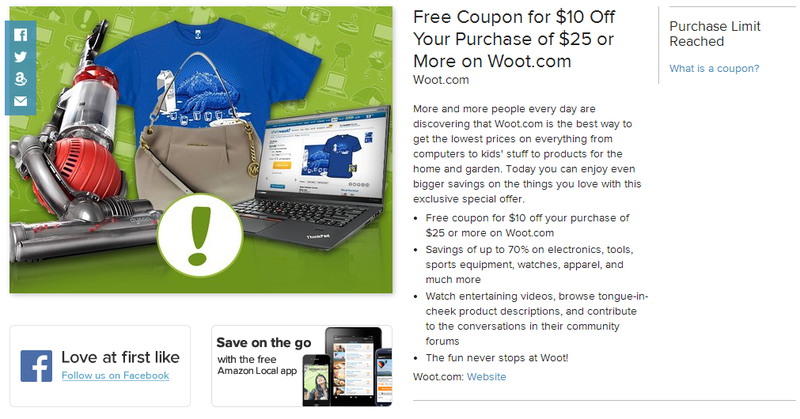 Woot doesn’t have that great of deals, but $10 of $25 definitely helps.